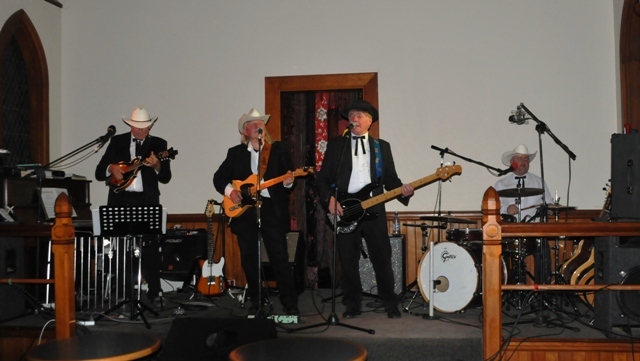 The Pistons are a Christchurch based band available for Pubs, Clubs, Small Cafes / Bars, Private Functions and Weddings (great for themed functions). Sandy , Richard and Arch have a long history in playing music ranging from Blues, Jazz, Rock’n Roll to Covers on the Christchurch dance, club and Pub scene. David received his musical education in the South Island but gained his experience drumming on the Auckland originals scene for 12years with Bands such as Stolen and Outside In, before moving south and joining The Pistons. The Pistons have the added strength of Richards experience and expertise in Choral singing, allowing confident vocal delivery. The Live Recording done at Greendale (last November) has now been produced and can be checked out on our 'Demo Songs' page. We had another very enjoyable gig at The Terrace Bar in Darfield which was well receivied by the local community and visitors from ChCh. This was the second of two Sunday Arvo gigs. It is also a cool dude who plays in a realy hot band!! !